Soils are our most vital natural capital. They perform a variety of functions to support ecosystems including nutrient provision, buffering against water pollution, also harbouring a vast microbial community and stock of carbon. 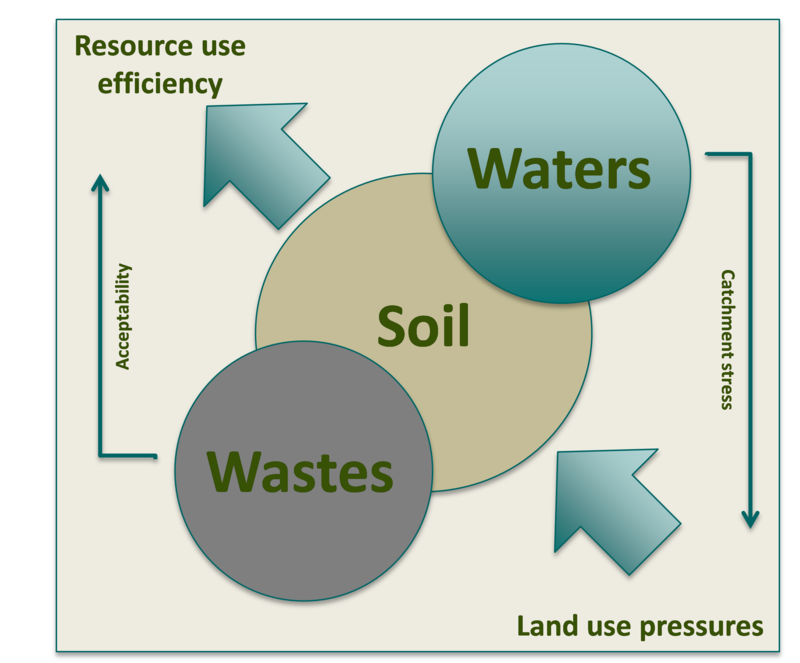 Urban soils however are often sealed, disturbed, contaminated and their composition, chemistry and biology imbalanced, reducing or removing their functionality and impacting on waters within their proximity. Waste disposal to urban land and industrial legacy often introduces a risk element to the use of urban soils for crop productivity the mosaic of urban land uses makes it difficult to make bulk evaluations of land capability for UA on this basis. Further resource pressures from an expanding population may require the increasing use of recycled materials, or grey waters as well as alternative fertilisers derived from urban organic wastes. However, the social acceptability and benefits of UA will require good basic natural resources, free of substantial risk to human health so that the construction and maintenance of UA within urban space will also need to rely, to certain degrees, on the natural resource capital available at a local level. This is why the group considers urban agriculture metabolisms; people and nature working together. Figure 1. Schematic representation of aspects of urban metabolisms.